Last year I mastered the art of the red velvet cake. I feel I have made enough to do them in my sleep. 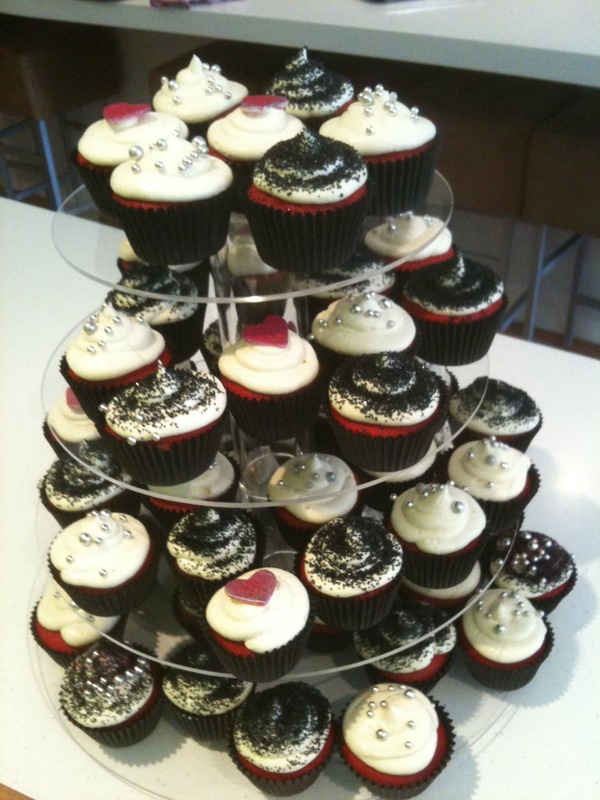 I've made red velvet layer cakes that blew peoples minds, turned them into cupcakes, mini cupcakes and even got asked if I'd make a few wedding cakes. In my mind, I have mastered the red velvet cake and that pleases me no end. This year I have been playing around with chocolate, to be more specific a classic fudge brownie. While visiting in Chicago this January I noticed salted caramel was all the rage, so when I saw a tub of it in WholeFoods I picked up a tub to see what all the fuss was about. YUM! Bite size pieces of caramel coated in chocolate and then sprinkled with flaked salt. I'd eat one...then two, you can see the pattern I'm sure. Salty sweet is one of my favourite combinations, however, I knew I didn't want to whip up a batch of caramels on a regular basis so I thought about putting the chocolate and salt combo together in something that is a popular sweet treat and that is how I came up with a brownie. I first tried my idea out using salted pistachio nuts. I have to tell you that this is the only photo I took because it got gobbled up faster than I could snap a pic! The smell drove me wild while baking, I had my neighbour over for dinner the night I made it and she went back for seconds while sipping a glass of red (perfect partnering!). These are my end result! I cut them into bite size pieces and took them off to a meeting I was attending that evening. To my relief they were a massive hit. Not being a real nut lover, I have to say I am happy with the result and so are the boys. Nic and Alex gobbled them down in seconds while Max and I picked off the nuts and eat them slowly, enjoying the salty sweet flavours. Maybe this is the winning combo? or is there another nut I have missed? They look awesome my friend! I love how well salt and chocolate work together. i do love a good salted caramel, salted popcorn,salted brownie....I'm easy. I do have an affinity for the pistachios though, I keep a bag of shelled salted ones in the freezer and drop them in my yogurt. I fear they would disappear even faster in brownies! I didn't know they freeze well? I must admit, I ate all the pistachio nuts on the first brownie- pure heaven! !